The Oak Harbor community in partnership with the city is gearing up to upgrade Bailey’s Playground, located adjacent to Windjammer Park. Over the years the ocean salt spray has aged the playground structures and now they are in need of repair and replacement. To learn more about this effort and support the rebuilding of the park please visit the Bailey’s Playground gofundme.com webpage. To learn more about volunteer opportunities contact the Bailey’s Playground fundraising chairperson, Ellen White, at 360-279-0615 or ellen@caneengineering.com. Email treatmentplant@oakharbor.org with general questions or to join our email list. Visit the Contact Us page for additional contact information. To view past presentations, summaries, and project updates, visit our library. 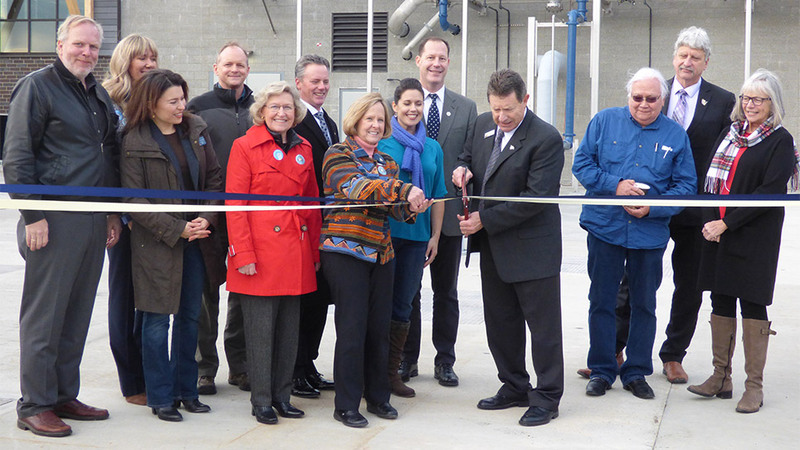 Ribbon cutting celebration with elected officials and project partners. 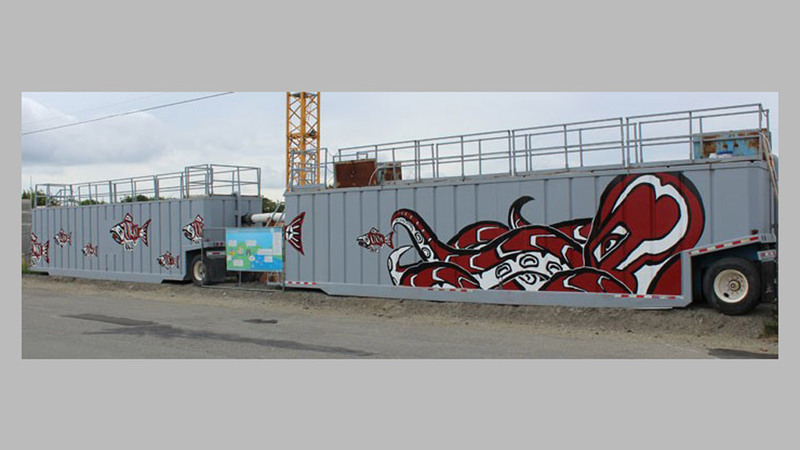 Artwork by Oak Harbor High School Art Guild members on stormwater treatment tanks. 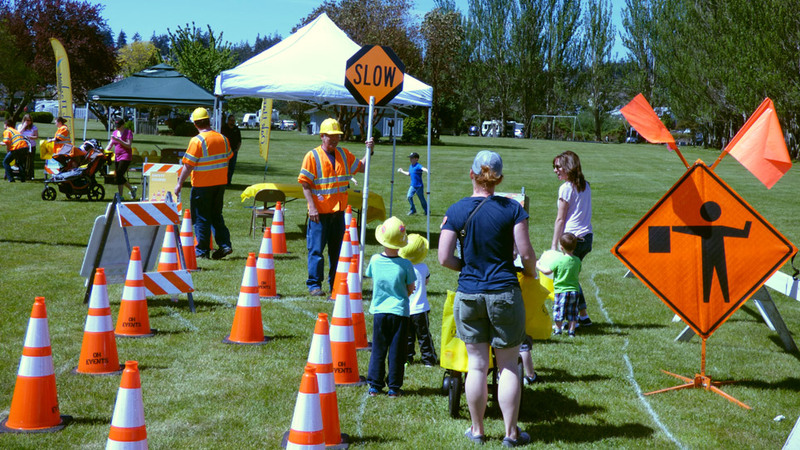 An Oak Harbor family tours the construction safety course at Family Fun Day 2017. 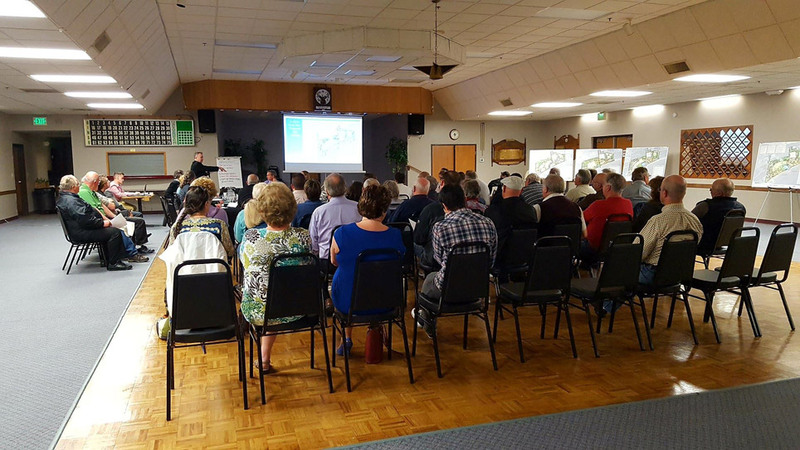 Community members attend a Windjammer Park open house in 2016. 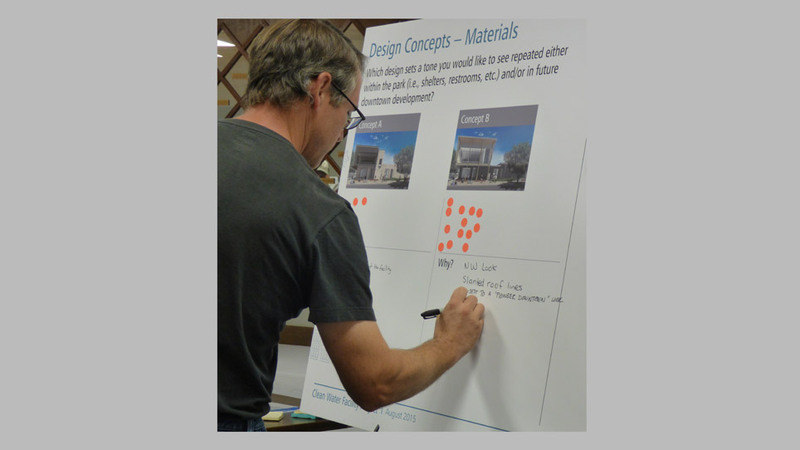 A community member gives feedback at a design open house in 2015.